Is a year ever wrapped up with a neat little bow? Are you still basking in the gratitude of unexpected gifts? Or are you grappling with unforeseen circumstances? Maybe it’s a bit of both. 2014 brought the exhilarations and unexpected lessons of first time home buying for husband, David and me. Our (now former) Boulder, Colorado condominium. If you're interested in one of the top school districts in the country, we now have a beautiful home for rent here. Also, thanks to a sweet friend, I’ve renewed my Screen Actors Guild membership and am reacquainted with the joys of acting. And, as always, doing my best to keep my eyes focused on driving in my lane. My ego seems to need frequent reminders to take a back seat. Sometimes it’s a nudge; other times it’s a shove! 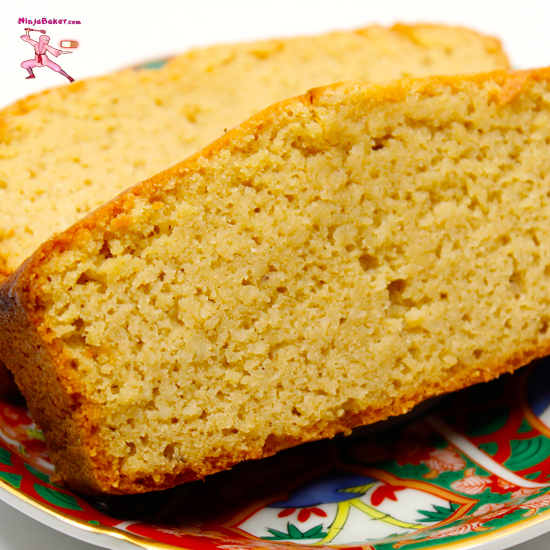 Paleo Pound Cake: Surprisingly similar to the real stuff! This Paleo Pound Cake to quote Mary Poppins is "practically perfect in every way." 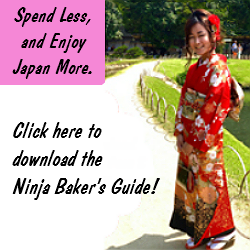 Enter the husband, David, with his Paleo friendly e-cookbooks….Nooooooo, I’m not giving up brown rice or gluten-free breads or Greek yogurt. But the Paleo e-cookbooks do contain some good-looking sugar free desserts. Plus, David’s been craving a Paleo friendly dessert. My husband is the hero who’s signed me up with a weekly visit to a nutritionist. So the fellow deserves a sweet reward, right? 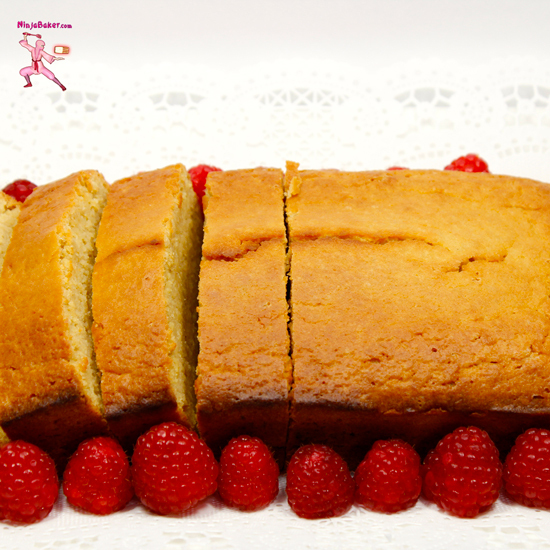 Paleo Pound Cake with paleo approved raspberry garnish! I started with this Paleo Pound Cake recipe. It’s no Sara Lee. The cake is moister and less dense. In all fairness, the density factor may have something to do with the use of granulated rather than powdered erythritol. (Seriously, I am over the moon that this magical and healthy substitute for sugar is in my life!) 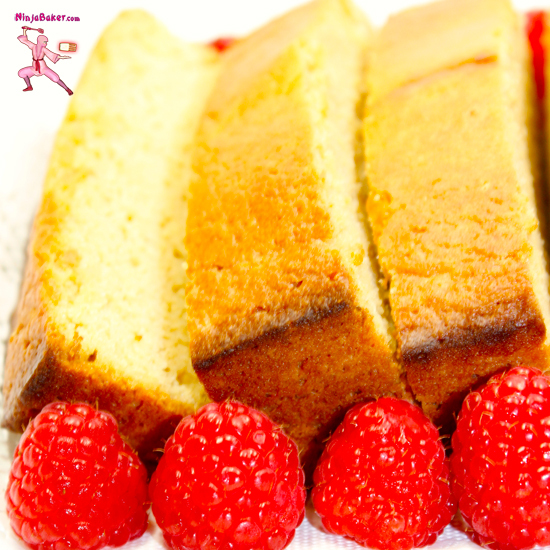 The Paleo Pound Cake is similar in taste to a regular pound cake. The recipe gives the option of coconut oil or grass-fed sourced butter. You can bet I used the butter! 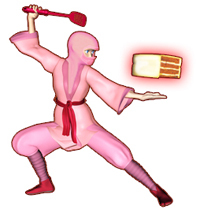 (I do have a bit of a rebellious streak at times…That’s what happens when you separate a Ninja Baker from her Oreos!) At any rate, whether you’re going Paleo, counting calories and praying to fit into that summer swimsuit, this pound cake is for you. Cindy of Cindy's Recipes and Writings is our host today of a year-end cravings fulfilled themed #SundaySupper. (Scroll down for your invite to the virtual #SundaySupper at Twitter.) Cindy is a fabulously talented chef. She's made sure your cravings for every season are satisfied.